McPhee credits family, MTSU su..
'Cover Crops': Listen to Feb. ..
Middle Tennessee State University greatly exceeded its $250,000 goal for its first ever “True Blue Give,” bringing in more than $330,000 during a fundraising push that culminated in a 48-hour online campaign across the Blue Raider community. The Feb. 15-16 drive drew donations from more than 600 friends of the university in its push to support academics, athletics and scholarships. Donors could pledge any amount, and matching contributions were secured for certain portions of the campaign. Raising scholarship support is a key priority since 90 percent of MTSU students qualify for some form of financial aid, noted Kristen Keene, associate director of annual giving/special projects in MTSU’s Development Office. The True Blue Give webpage allowed donors to target gifts to specific colleges, departments and programs throughout the university. Video testimonials from various alumni explained to donors why their contributions were so important. Support was given beyond dollars, with some supporters pledging their time and other resources, such as making themselves available to speak to classes or offering internships through their company or business. 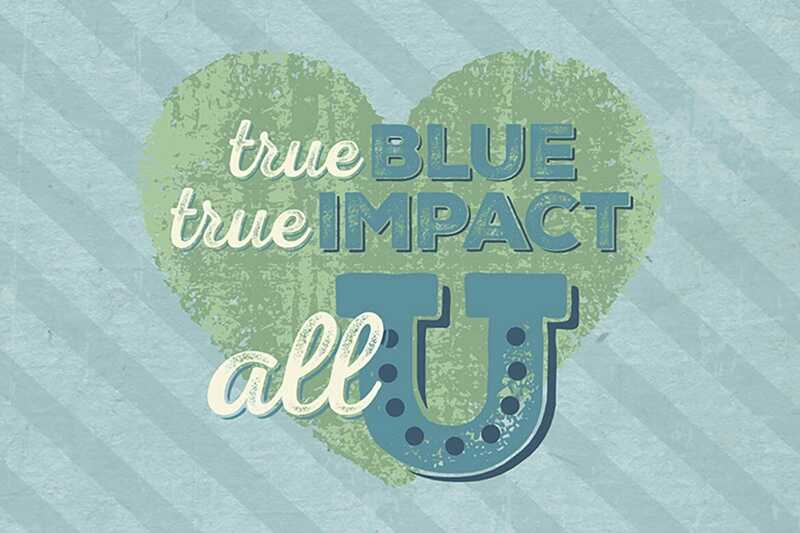 For more information about True Blue Give, contact Keene at 615-898-2728 or email kristen.keene@mtsu.edu. This YouTube screenshot shows Tennessee Titans Pro Bowl safety and Blue Raider Athletics alumnus Kevin Byard giving a testimonial in support of the True Blue Give online fundraising campaign held Feb. 15-16. Byard was among a number of alumni and supporters provide such testimonials. Middle Tennessee State University has set a $250,000 goal for its first ever “True Blue Give,” a 48-hour online push for support from Blue Raider alumni and fans. The goal is to raise funds from at least 500 university friends during the Feb. 15-16 drive to support academics, athletics and scholarships. True Blue supporters can give now by going to www.mtsu.edu/truebluegive or by texting MTSU to 71777. Gifts in any amount will be appreciated, and matching contributions have been secured for the first $50,000 raised. Raising scholarship support is a key priority since 90 percent of MTSU students qualify for some form of financial aid. The True Blue Give webpage allows donors to target gifts to specific colleges, departments and programs throughout the university. “Other universities have started doing these ‘giving days’ because we need to start raising funds in slightly different ways than we have in the past,” said Kristen Keene, associate director of annual giving/special projects in MTSU’s Development Office. “Save the Date” postcards were mailed to the university’s 109,000 alumni across the nation. The webpage also includes video testimonials from Tennessee Titans Pro Bowl safety and Blue Raider Athletics alumnus Kevin Byard; alumni Trisha and Mark Murphy; Womack family members and alumni Dana Womack, Andy Womack and Lara Daniel, also a faculty member; and University Provost Mark Byrnes. Keene noted that support is “not exclusively about dollars.” Supporters also can pledge their time and other resources, such as making themselves available to speak to classes or offering internships through their company or business.